Remember every single time you got your parent worried by not answering calls and came back home to a flurry of questions and lecture on lack of responsibility. Well, the tables have turned with an amusing twist. Axis Bank has a flashback in store for the beloved senior citizens, who spent a great chunk of their life looking out for their kids. Chalked out exclusively, for their senior citizen costumers, the nostalgia driven campaign gives senior citizens the opportunity to take a walk down the memory lane, by attending special screenings of movies from the Golden Era. Right from the movie stubs to the popcorn tubs, the screening will recreate the magic of the bygone era with the hand-picked Silver Jubilee movies of the 70s & 80s that is sure to create a sense of nostalgia. 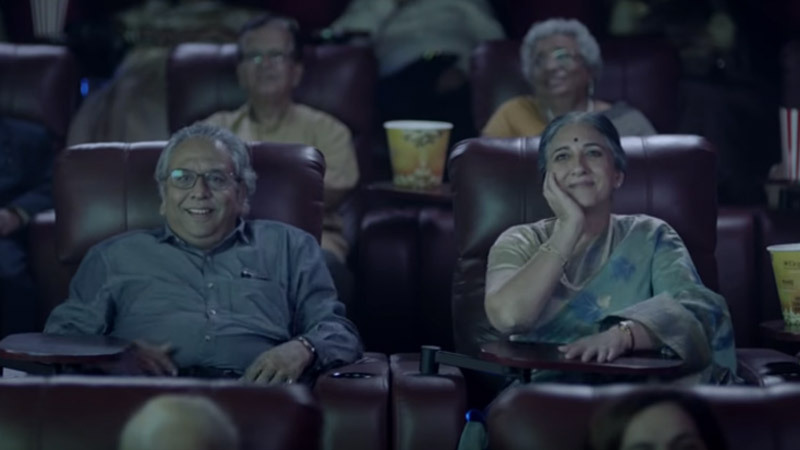 To create buzz around the movie screening, Axis Bank released a video urging their senior citizen customers to attend and enjoy this joyride! In a heartwarming video, we see children worried for their aging parents, as the latter are out gallivanting at the movie screening and not taking calls. Talk about role-reversal! Further, the campaign captures the changing lifestyle of senior citizens these days who opt for a fun lifestyle to make the most of their renewed youth! #GharPeBataaKeJana creates nostalgia with a feeling of warmth and security – emotions that Axis Bank truly stands for, while communicating effectively with their senior citizen TG. Phoenix Marketcity - Pune’s #TheGoodLifeMoment is all smiles!